Researchers at the University’s Institute of Infection and Global Health are developing a new commercial blood test to improve the diagnosis and management of patients with suspected meningitis. The £1.6m project, which is funded by the Medical Research Council and industrial partner Fast Track Diagnostics, could also help cut unnecessary antibiotic treatment – a practice that is indirectly contributing to the growing antimicrobial resistance crisis. Meningitis, a brain infection, is a devastating illness that causes death and disability in the UK and worldwide. A key decision for doctors is to decide whether the meningitis is bacterial or viral. Symptoms of both can be similar, but bacterial meningitis requires urgent treatment with antibiotics for the best possible outcome. Currently, the main test to distinguish between the two is a lumbar puncture. However, this invasive procedure is often delayed, or not performed at all because the patient is too ill, leading to difficulties in making a diagnosis. The Liverpool researchers have developed a novel laboratory test that measures the body’s response to infection in the blood, and can distinguish between bacterial and viral meningitis without the need of an invasive lumbar puncture. The team believes this is the first test of its kind to use a patient’s host transcriptional response, rather than the detection of a pathogen, to diagnose meningitis. 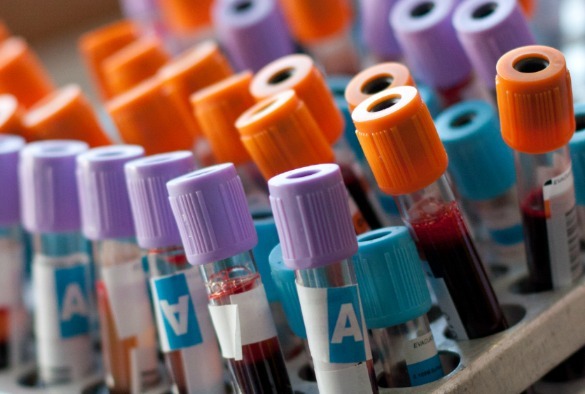 Now, in partnership with Fast Track Diagnostics (who have recently integrated with Siemens Healthineers), they plan to develop a commercial blood test for clinical use and link up with hospital teams in the UK, Europe and across the globe to trial the test within the next three years. In the future, the test also has potential to be applied to other bacterial infection syndromes, such as pneumonia or sepsis, to enhance their diagnoses. Project lead Dr Mike Griffiths, from the Institute’s Brain Infections Group, said: “Due to a fear of ‘missing’ bacterial meningitis, doctors can end up giving unnecessary antibiotics to patients who are really suffering from viral meningitis. This test will help doctors to rule out bacterial meningitis more quickly, reducing unnecessary antibiotic treatment, shorten in-patient stay and reduce the burden on health care”. 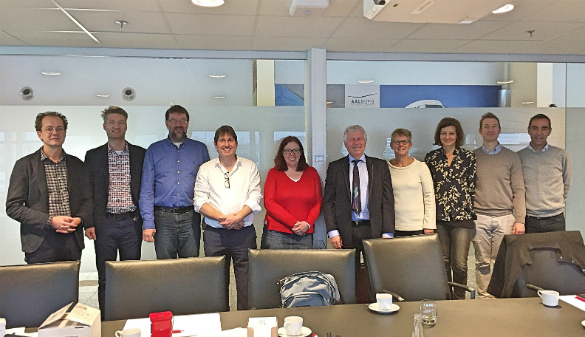 European collaborative TRanscripts Indentifying Meningitis (TRIM) study meeting in Denmark: (left to right) Professor Diederik van de Beek, Dr Matthijs Brouwer (both University of Amsterdam, Netherlands), Professor Henrik Nielsen (Aarlborg University, Denmark), Dr Mike Griffiths, Dr Fiona McGill (UoL), Professor Jean-Paul Stahl (University of Grenoble-Alpes, France), Dr Merete Storgaard, Dr Birgitte Hansen, Dr Jacob Bodilsen and Dr Christian Brandt (from across Denmark [Aarhus, Hvidovre, Aalborg and Nordsjaelland]).